I usually make a custom PCB for my electronic projects. Throughout development the PCB, however, changes several times. Making a custom PCB at each stage is not practical for several reasons including price, long waiting times between versions and being very wasteful. For all these reasons I use a test board/breadboard/prototype board that can be changed easily and instantly before development reaches a final stage. The finished blob is comfortable seated in a test board. There is one problem with this approach: test boards are designed to take TTH (through the hole) components and cannot take SMT parts. I usually use SMT parts to make my PCBs as small as possible, so the solution for me so far has been to buy both SMT and TTH versions of a chip, use one for development and the other for the final product. 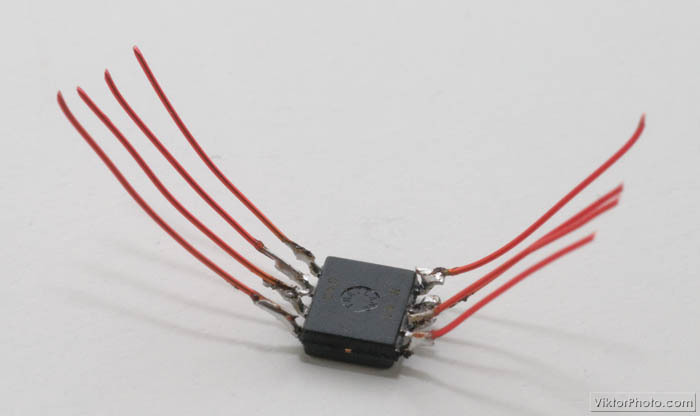 This has been working for me for quite some time, but now I am in a situation where the manufacturer doesn't make TTH version of a particular chip. 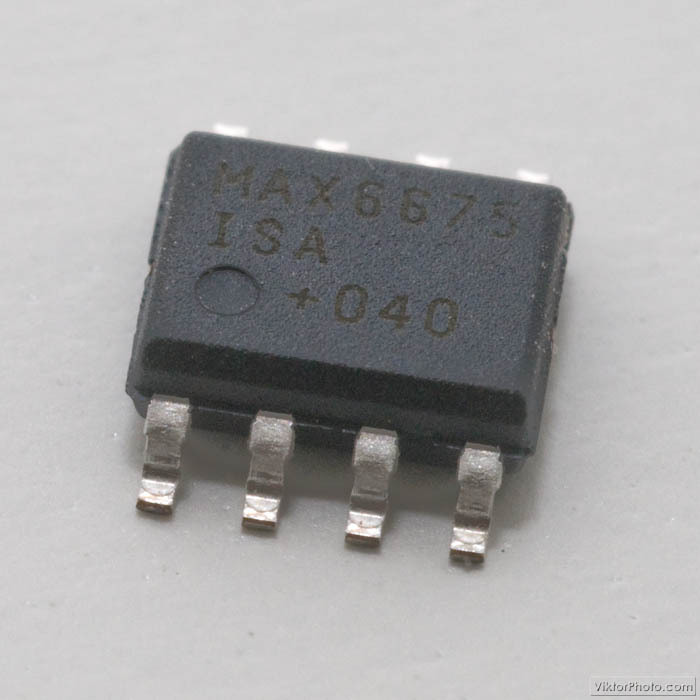 In this case I was using the 8 pin SOIC version of MAX6675. 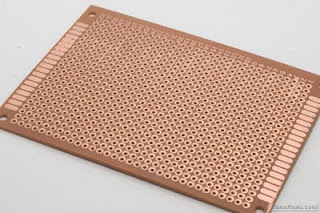 To overcome this problem I came up with a quick and dirty solution: I solder thin copper wires to each of the pins of the chip and connect them to some pin headers that are soldered in a piece of breadboard. 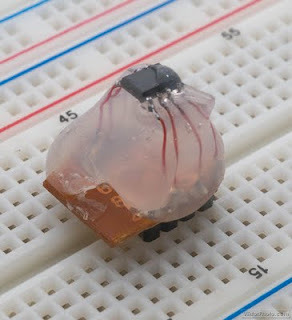 The advantage of this method is that it can be done to almost any chip, doesn't require special resources and creates a very durable design that - so far - seems indestructible. The only disadvantage is that the chip that is "converted" into TTH cannot be used for anything else afterwards. This is not a big problem for me as I always buy more parts than I actually need (just in case I mess up something...). Hot glue holds the assembly together - no going back from here! wow! 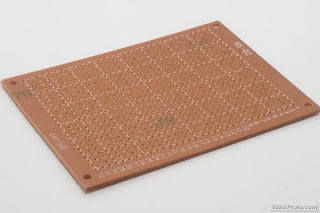 that's a great thinking, but is there a way where a normal part can accommodate in a SMD board. 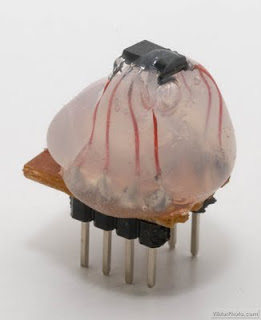 I wanted to know as because i have a small radio and it has a chip IC in it. I am not getting the IC, but i can find the bigger version. It has about 30 pins in total and wanted to know if there are any solutions. 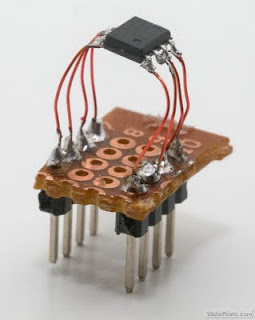 @D.D.Raikut: I haven't done that yet, but I would choose a similar approach, especially if it is for a permanent solution: connect the SMD pads on the board with the IC pins with solder small bits of wires. You can put the IC in a socket or on a small piece of (test)board if you like, but if it's to stay and you are certain it is the right replacement you can skip the extra bits and solder the wires directly to the IC pins. Then you can keep the whole thing in place with our good old friend, the hot glue. If you make it, don't forget to share your findings and a pic of it here! 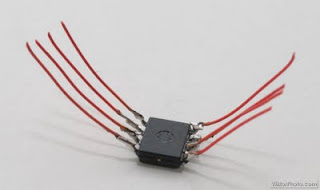 I also found a similar solution but I'm a little worried about working with larger chips 50 pins and more.